When and how often do you drink Jake? I am curious to know when and how often you drink Jake? At lunch today, we had a discussion among colleagues about Jake (I am the only 'Jaker') because we were discussing dinner. Generally, we all work till at least 18.00 so my (single) colleagues were complaining they still had to go the supermarket after work to get dinner. I told them I would just have Jake for dinner, but since they never heard of it before they don't believe that people actually replace meals with Jake (or similars). I'll bring some for them tomorrow but to back my story, it would be great to hear from you guys when you have Jake. For me, I have about 5-6 meals of Jake during the week and mostly for dinner. What about you? Still a lot of people that didn't hear of Jake or others. I have already explained to so many people what Jake is. I actually never had Jake for dinner (yet). I have around 5-8 meals during the week, mostly breakfast but some days for lunch as well. In the last 3 weeks, I've experimented to have 2 meals of Jake Light in the morning after having done 30m/1h of physical activity & having taken a shower. Then I've had 1 between 6pm & 8pm. I wanted to follow this routine 7 days per week but sometimes, when I was overstressed, I didn't have any meal of Jake at all, or I had them but I ate a tasty meal too during the day. My aim is to stick to this routine for 30 days, without exceptions, check how I feel & then decide to keep on following it, or modifying it. 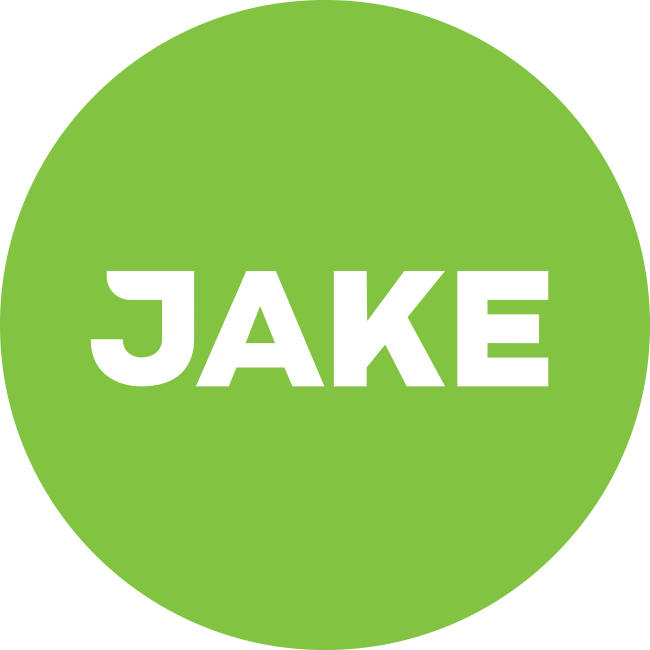 I tried in the past to eat 3 meals of Jake in the morning, fast till the next day (because I wanted to intermittent fast for 24h every day -https://en.wikipedia.org/wiki/Intermittent_fasting), & repeat, but I take too long to digest 3 meals all in once. Basically, I get almost incapable of serious cognitive & physical efforts for 3 hours, at least, and I can't afford to be inefficient in the morning for so long. 2 meals a day minimum. Leaving alone with a 2 year old, Jake helps me get thru the day easier, cooking takes too much of my time. i take Jake Light only for dinner on weekdays, before I doing my workout at the gym. Had the Problem that I have eaten too much after 6pm (after workout) so i got a little overweight . Now I take dinner (what my wife is cooking for kids and herself) and eat that one in the morning (no Junkfood at all), that works perfectly for me. Lots of calories in the Morning, a little less at Lunch and just to feel good a Jake shake for dinner. Currently I drink between 17 and 21 shakes per week, that is to say, three per day of a weekday and at least one per day on the weekend. Sometimes on the weekend I like to eat chocolate instead of real food - the better nutrition provided by jake allows for the occasional splurge! Been doing this for over a year. I've been doing 1 shake every day for breakfast for the last ~half year. Since I generally skipped breakfast (and often also lunch) before this, I've lowered the amount of food I eat for dinner with ~20% to compensate and keep my intake about the same (but now slightly healthier). As expected/hoped, I've since noticed no change in my weight (I'm already pretty much at perfect weight, so did not want to lose or gain anything) but have a lot of extra energy and mental focus, which is great. Not the only one at the office anymore! As said, I brought some Jake for my colleagues and told them about Talk to show that there are really people using it. Two others have ordered as well and now my boss is even considering to order Jake for the office! Edit: so probably going to have more Jake during the week.